Hall County, Georgia Lawyer Anne Bishop explains the use of the Portable Breath Test device during a traffic stop for suspicion of Driving Under the Influence. A PBT should be used in conjunction with the National Highway Traffic and Safety Administration Standard Field Sobriety Tests such as HGN, Walk & Turn, and One Leg Stand. It is important to understand how law enforcement uses new technology. Our Georgia DUI Lawyers own and use PBT˜s in order to better understand how police use them during a DUI sobriety check. 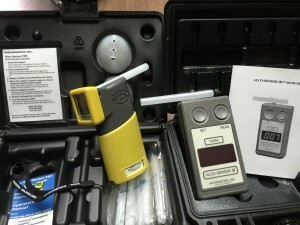 A Preliminary Breath Test (PBT) is a roadside handheld device that is used to confirm and/ or support a DUI officer’s observations of alcohol impairment during a DUI investigation. These types of devices are also called by their brand name Alco-Sensor. In a DUI investigation, the law enforcement officer is supposed to first use his or her observations of the potential Drunk Driver. These observations include driving, how the DUI suspect looks, sounds and smells and the Standardized Field Sobriety Tests. According to the National Highway Traffic Safety Administration (NHTSA), a Preliminary Breath Test also known as a Pre-Screening Breath Test or Portable Breath Test and is designed to confirm the presence or absence of alcohol. If the PBT is negative for alcohol, then the DUI suspect could be under the influence of drugs; or not impaired at all. In Court, a PBT’s results are generally admissible for positive or negative for alcohol and not a specific number, like 0.08. It is important to note that, in the field, the officer is given a numerical readout of a potential blood alcohol concentration (BAC). PBT’s, like the Standard Field Sobriety Testing, is just one part in the DUI Pre-Arrest Screening process. Generally, unless the person is under 21, a PBT alone will not result in an arrest. The PBT result is only one of many factors the officer should consider in determining whether the suspect should be arrested for DUI. The PBT result can be an important factor because it provides a direct indication of potential alcohol impairment. PBT’s are only admissible in court for positive or negative alcohol content, and are not admissible for levels of alcohol. Attorney John Breakfield is a Local DUI Hall County, Georgia Lawyer and welcomes your questions about your DUI charges. Breakfield & Associates, Attorneys can be reached by calling 770-783-5296. There are several advantages for law enforcement when using a PBT in a DUI investigation. A PBT can likely corroborate the officer’s suspicion of potential alcohol impairment, and support the officer’s other observations regarding potential impairment. Probably most importantly, the lack of alcohol or a low amount of alcohol, can cast suspicion on potential impairment due to drugs. This information can change the course of the investigation to include further evaluations of pupils and a subsequent Blood Draw request instead of a breath test. Although current PBT technology allows the tests to be relatively accurate, they still are subject to error. Generally, the errors are related to the read out being too high or too low. PBT instruments have accuracy limitations. Although all PBT instruments currently used by law enforcement are reasonably accurate, they are subject to the possibility of error, especially if they are not used properly. 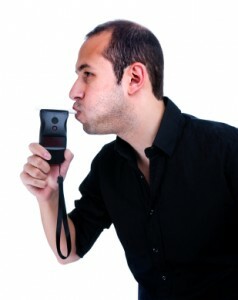 Some other factors that can affect the accuracy of preliminary breath testing devices are Residual Mouth Alcohol, contaminants, and the type of ˜lung’ air. Some of these factors tend to produce “high” test results; others tend to produce “low” results. Residual Mouth Alcohol is when alcohol stays in the mouth after a drink and that alcohol from the drink ends up in the PBT testing. This left over alcohol still in the mouth can cause a test result to be higher than the true BAC level. In some cases, the Residual Mouth alcohol dramatically increases the results to the high side. Officers are trained to wait 15 to 20 minutes from alcohol consumption in order to have the Residual Mouth Alcohol evaporate from the mouth before conducting a Breath Test. According to the National Highway Traffic Safety Administration (NHTSA), some PBT’s may react to certain substances like ether, chloroform, acetone, acetaldehyde or in rare situations, cigarette smoke contaminants. Bad breath, food or other normal consumables do not affect accuracy. A breath test ideally uses the deep lung breath to obtain a quality result. Breath from the mouth or upper part of the lungs are not as accurate. This is why many PBT’s have a delay of capturing the subject sample until the DUI suspect has expelled air from his or her lungs. It is important to note that submitting to the PBT test at a DUI traffic stop, does not satisfy the requirements of Georgia’s Implied Consent law. Only submitting to a breath, blood, or urine test as designated by the officer will satisfy the Implied Consent law in the State of Georgia. There are many factors that apply in a DUI case, as each and every case is always different. It is crucial to have a DUI lawyer on your side to help navigate your case through the court system.